WLUML's International Director, Fatou Sow, Board member, Karima Bennoune, and Co-Founder Marieme Helie-Lucas are amongst the event's distinguished international speakers. Join notable free-thinkers, atheists and secularists from around the world for a weekend of discussions and debates on the religious-Right, its attacks on civil rights and freedoms, and the role of secularism for 21st century humanity. The exciting two-day conference will discuss the Arab Spring, Sharia and religious laws, the limits of religion’s role in society, free expression, honour killings, apostasy and blasphemy laws, faith schools, women’s rights, secular values and much more. The failure to tackle female genital mutilation (FGM) is a "national scandal" with as many as 170,000 victims in the UK, MPs have said. 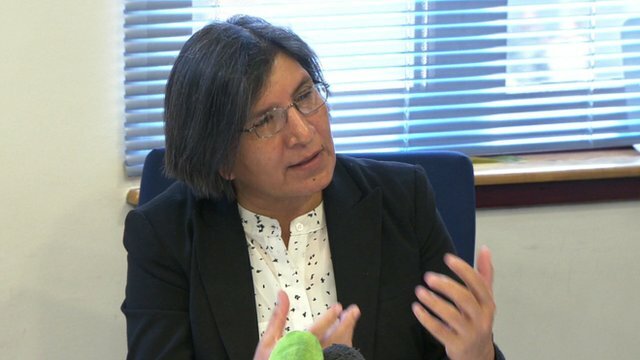 Rashida Manjoo: "What is clear from portrayals of women and girls is that there is a boys' club sexist culture"
The first ever prosecutions under the Female Genital Mutilation Act have been announced by the Crown Prosecution Service. Dr Dhanuson Dharmasena, 31, from the Whittington Hospital in North London and another man Hasan Mohamed, 40, are to be charged in connection with an incident following a birth at the hospital in 2012. Day 3/16 Where do people like me fit in? Being a practicing Muslim mother working for a secular domestic violence NGO in London – alongside women from all kinds of diverse backgrounds – may appear to outsiders to be in some ways contradictory. Usually, these apparent contradictions are not felt in my daily routine but at times one does get caught out and instances occur where I am required to either justify or at least reflect on my choices in values, faith, work etc. I am lucky to work in a feminist space respectful of all forms of diversity – gender, religious, ethnic, racial and sexual, to give but a few examples. However there are instances, in places like conferences, professional meetings or other events such as a fundraising rock concert, where my presence furrows the brows of my colleagues. As a modest, and if I may add stylishly, hijab clad woman, my presence in a space discussing national and local strategies to eliminate violence against women and girls doesn’t quite fit the stereotype. Perhaps others would be more comfortable if they saw me at a mosque or an ‘ethnic’ gathering or demonstration. Longer encounters where conversations happen reveal ‘benign’ misconceptions of what Islam states and what Muslims believe. Prejudices against Islam and Muslims are as alive in this sector as in any other.